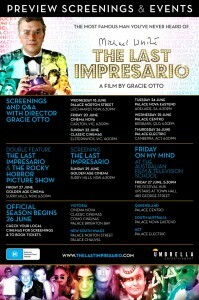 Gracie Otto’s THE LAST IMPRESARIO. Preview screenings around Australia. 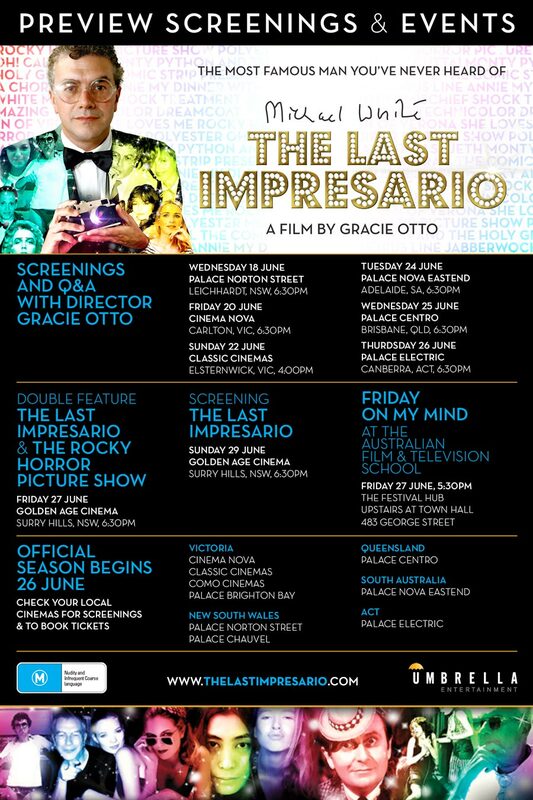 Gracie Otto’s Feature Documentary had a fantastic reception at the Sydney Film Festival and is touring Australia in June, with Gracie in attendance for Q&A sessions following the screenings. Click on the below for all the details. Comments Off on Gracie Otto’s THE LAST IMPRESARIO. Preview screenings around Australia.